Our editing and proofreading services make it easy. Personal communications are close to your heart—from compiling family memories for an anniversary present to blogging about your interests or personal cause. With a final edit, you can prevent errors and ambiguity from diluting your message. Submit your document to Elite Editing, and we will proofread and edit your work while maintaining your original style and meaning. We’ll help the ideas you care about shine through. Statistics show that the average user spends only a few seconds on any particular website. What you say—and how you say it—makes all the difference in whether the reader will stay or bounce to another site. Let our editors proofread and optimize your web copy to improve your site’s results. Learn more about our website editing and writing services. The invitation is an important document that will endure longer than the event itself. Months after the big day has come and gone, you’ll still find the invitation on friends’ refrigerators, in scrapbooks, and in keepsake boxes commemorating the occasion. Elite Editing’s professional proofreading team will check over each word to make sure your invitation is as perfect as the day it’s celebrating. Whether you’re writing an important letter to a business associate, sending a letter of recommendation for a colleague, or just corresponding with an old friend, let our professional editors proofread your final copy before you press Send. The newsletter is the best way to share news, updates, and offers with existing and potential clients and investors. Our editorial team is trained in all aspects of desktop publishing and can offer assistance at any step of the way—from typesetting to prepress to final print. No matter the document, having an extra set of eyes proofread and edit your writing is always a good idea. Send us your document, and we’ll make sure it’s well written and error-free. When this one concise document is your introduction to potential employers, every word counts. Let our editors proofread your résumé to ensure that it is the best it can be. A cover letter allows you to put your best foot forward when applying for a job. Let our editors proofread your letter to ensure that it makes your accomplishments shine through. Make your personal documents, website, or blog shine! No project is too small. How does our proofreading and editing work? We’ll send you two documents, one with changes clearly marked using the track changes tool and one clean version with all of the changes already made. 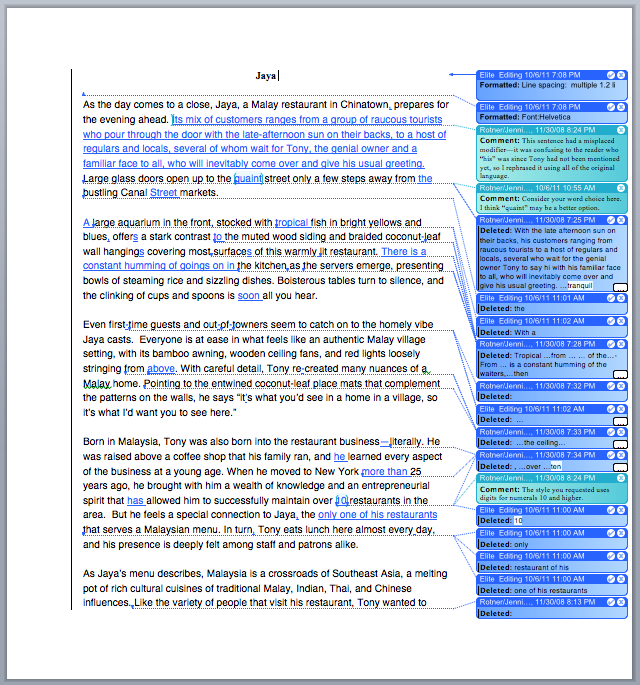 This way, you can review each edit or go straight to print—your choice. Learn more about how our services set you up for success.